I’ve never served in the Military and will never be a Veteran of the same, so I often wonder what a service person thinks, or feels when a stranger says to them, “Thank-You for your Service”? While I recognize it as one way for those of us who’ve never served to acknowledge a member of the armed services whether retired or currently serving, I sometimes wonder if it’s stated sincerely. Some say it to be cordial or strike up a conversation because they are truly thankful and want to express their sincere appreciation and gratitude to those who elected at some point in their life to join the Military ranks. Some say it because they see someone in uniform and feel it’s the “right” thing to do. Some say it just because they’ve heard others say it and aren’t sure why. Many who join the service do so with a full head and heart with the intent and fervor of a person on-a-mission. They apply themselves and work hard at moving up the ranks, never giving up and never giving in. Some join feeling, they can make a difference and chart a course for a career that will benefit themselves and their family all the while knowing their next duty station or deployment may be in harm’s way, but they do it anyway. Others join out of desperation to get out of an impoverished situation at home, not knowing where their future lies, but knowing whatever is ahead cannot possibly be as bad as what they leave behind. Still others join simply because they simply have no direction and career options even with college degrees in hand have not panned out. Whatever the reason, we are here because they are there. They are in harm’s way when we read about the chaos in the Middle East. They are deployed all over the globe, sometimes in places most of us would never want to live, let-alone visit and defend. And they have been doing this for generations for those of us who never served and for those who have served honorably so we can live in a part of the world that knows more peace than much of the world may never know. We cannot bring back the many military lives that have been lost fighting wars in foreign lands and faraway places. We cannot undo the pain of lives lost to the families whose son or daughter gave all. We cannot put ourselves where they have trod unless we have walked in their shoes. We find it hard to comprehend PTSD unless we have lived it. How can we really thank them for their service? I doubt we truly can. So, the next time you see a Veteran; remember when you say Thank-You for your Service, say it with conviction and know what it means to you, and what it will mean to the Service Member, The Veteran before you speak the words. 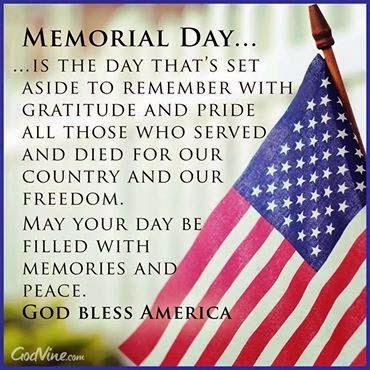 Never forget All gave some…… Some gave All! Back to School Auto Maintenance Tips - What does that mean to you? Probably the most important item you can do is maintain your vehicle. Keep in mind that just because your vehicle passes its safety inspection(Virginia State Inspection), that doesn't mean it's properly maintained. Several maintenance items include: brake fluid, transmission fluid, engine coolant(antifreeze), power steering fluid, differential and transfer case fluids, windshield wiper fluid, and in some cases other fluids. Pay attention to your owner's manual and have the scheduled maintenance performed in a timely manner and your car will reward you for it. When was the last time your vehicle had a DMA(digital maintenance advisory) performed? This is a good way to determine what maintenance might be required now, what can wait, and what repairs may be necessary soon. This thorough maintenance advisory will include checking all the major function items on your vehicle; the tires, suspension and steering parts, battery, brakes, exhaust, wiper blades, fluid levels and conditions, lights, engine and cabin filters, oil level and condition, as well as potential structural damage from rust or corrosion. Vehicles that have spent a good portion of their time in the northern states can have these rust and corrosion issues. What is your instrument panel telling you? Is your check engine light on? Is your tire pressure light on? Are any other warning lights on? Some people elect to ignore these warning lights until the vehicle fails to operate altogether. There are many reasons people ignore the warning lights, but mostly the fear is it will cost too much to repair the items that will keep the light off. The question you should be asking is; how much will it ultimately cost in repairs if I ignore the lights and more importantly, will it affect my safety? Also note any unusual or peculiar noises, vibrations, or rattles and have them checked our before they become serious problems. Does your vehicle have basic safety equipment? Is there adequate air in the spare tire? Is the jack and all the tools necessary there to change a flat tire(including the wheel lock)? How about a working flashlight with spare batteries? A few other items to consider are an easily accessible first-aid safety kit, jumper cables, cotton gloves, a basic tool kit, and a fire extinguisher. Depending on the climate you find yourself in, a blanket, ice scraper and snow shovel may also be helpful. Hopefully you will never need some of these items, however you may save another motorists life if you do. Is the interior of your car organized? If you've ever been unfortunate to come upon a bad vehicle accident, you've probably noticed items that belong secured in the vehicle all over the road. In many cases significant injury was caused to occupants, or worse, as a result of some loose item in the vehicle hitting them during the accident. Auto parts stores and online shops sell a variety of items to help keep the interior of your vehicle organized, use them. Do you know if your vehicle has safety equipment? Familiarize yourself and your occupants, including children, with your vehicle; where the jack and spare tire are located as well as the fire extinguisher and first-aid kit. Show them where the 4-way flasher button is located. Safety on the road is everyone's responsibility. Making sure 'your' care is safe is the first step toward a smooth Back to School transition. Please allow us to help make your Safety and Security a reality as you travel. Did you ever try to define a labor hour? I’m not talking about time ticking away on a clock. I’m referring to the actual time spent on a repair vs. the labor guide’s suggested time.Any tech will tell you that a labor hour can stretch to half a day if a lot of research is involved. Conversely, it can last 15 minutes if you know what you’re doing. Most labor guides typically don’t take into account how much research, diagnosis and equipment setup is neededf or a given job — not to mention the time it takes to recover your 10 mm socket that just fell down into the engine compartment. Even with all of the technically advanced diagnostic tools professional mechanics have at their disposal, there are still people who can’t understand why diagnostic time should be included in the labor estimate, even though it’s not part of the R&R for the component. On the other hand, there are the stopwatch aficionados who count the seconds of every repair and are bound to argue over any labor time discrepancies on their invoice. They use “time” as the only determining factor for the cost of a repair.For instance, let’s say the book time said one hour, and everyone involved agreed upon the charges, but the tech got the job done in 25 minutes. The argument has always been that the cost of the job should be no more than the time it took to do it. Should the mechanic be penalized for doing his job proficiently and having completed it early? Where does it say he should give the job to the customer at some discounted rate because he can beat the book time? That doesn’t seem right at all. But, what if the same job that was quoted for an hour has taken four hours to complete? Who pays for the time difference now? In a sense, a labor hour isn’t an hour at all. It’s an arbitrary amount of time that may or may not be exactly 60 minutes. If it was as accurate as some people believe, then theoretically you should get an estimate for that hour’s labor, pull up to the repair shop, and walk out in exactly 60 minutes with the job completed. Not one second sooner or a second later. Good luck with that one. Like most trades, techs get paid by the hour. However, it’s not like you punch a clock in the morning, work all day, and then collect a 40-hour paycheck at the end of the week. Most mechanics work on flag time. Realistically, let’s call it what it really is — piece work, with the “piece” being the car. Very few mechanics are offered hourly pay and a guaranteed 40-hour workweek; although, there are some places that use a combination of both flag time and hourly pay. More times than not, a mechanic ends up eating a whole lot of labor time problem solving. Whether there are rusted bolts, bad connections, illusive intermittent problems or poor information from the get-go, something is going to use up time that eventually won’t go toward a paycheck. Any time money and people are involved, and you’re dealing with something that’s so widely misunderstood as the modern car, it’s up to the repair professionals to educate consumers on what’s involved in a repair. Customers also need to understand that this is a business based on suggested labor hours and not a time clock. In the end, there needs to be a reasonable amount of leeway when it comes to labor guide estimates from both sides of the counter. In the real world, no two jobs are the same.